After extensive research, tips from locals and the help of my trusty guidebook (seen below) I believe I managed to uncover the best of Rome. 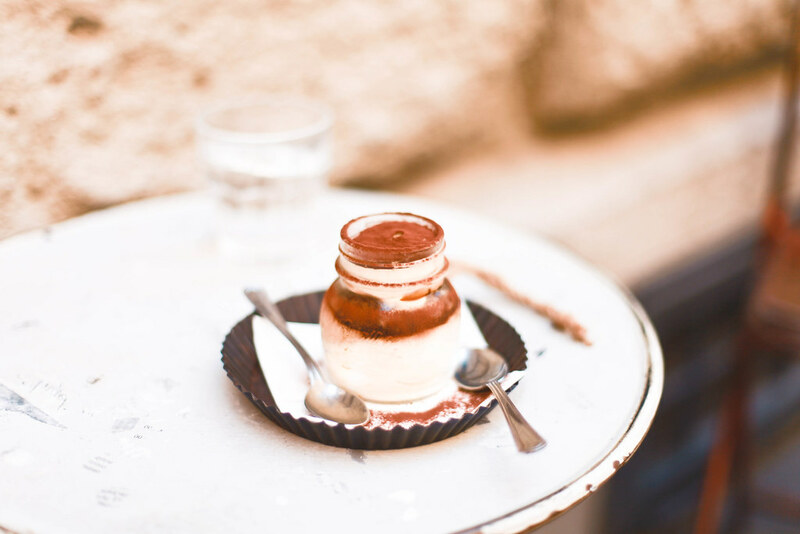 I’m definitely no expert but this little guide should help you to uncover what Italy is most famous for; gelato; focaccia and coffee; in short Italian cuisine. 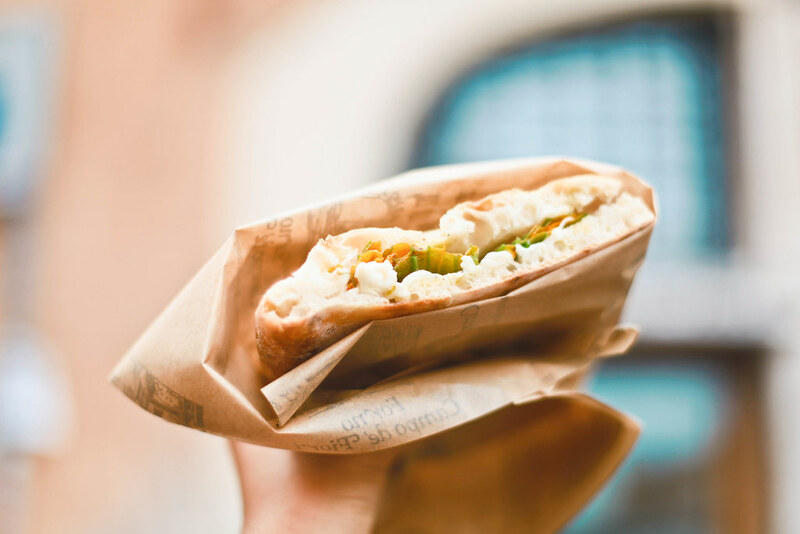 After all, if there was one city in the world you had to eat your way through, it would surely be the Italian capital. 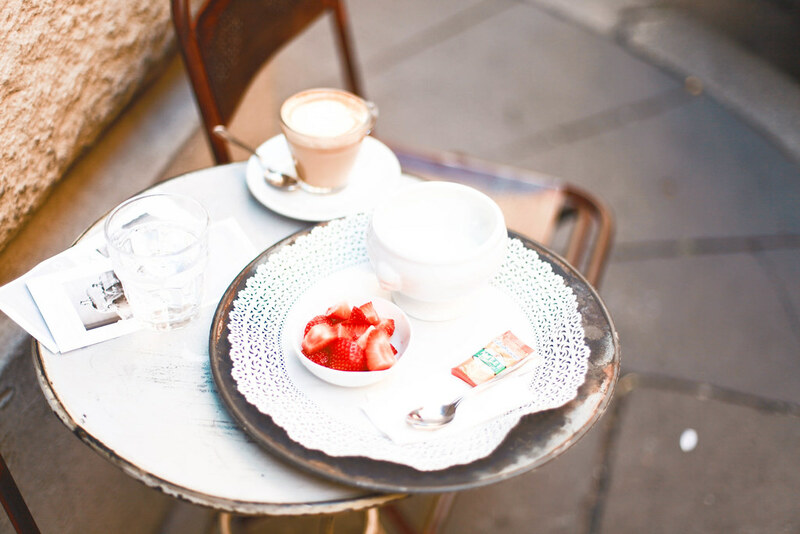 Breakfast in Rome can often be limited to coffee and croissants, which isn’t the best fuel for a full day of sight-seeing so I was glad to have come across the sweet, little Angelina, a cafe serving lots of yogurt, red berries and sweets alongside freshly squeezed juices. When they say that Rome is an open-air museum, they are not over-exaggerating, you can’t walk down one street without accidentally stumbling across ancient ruins or stunning churches. 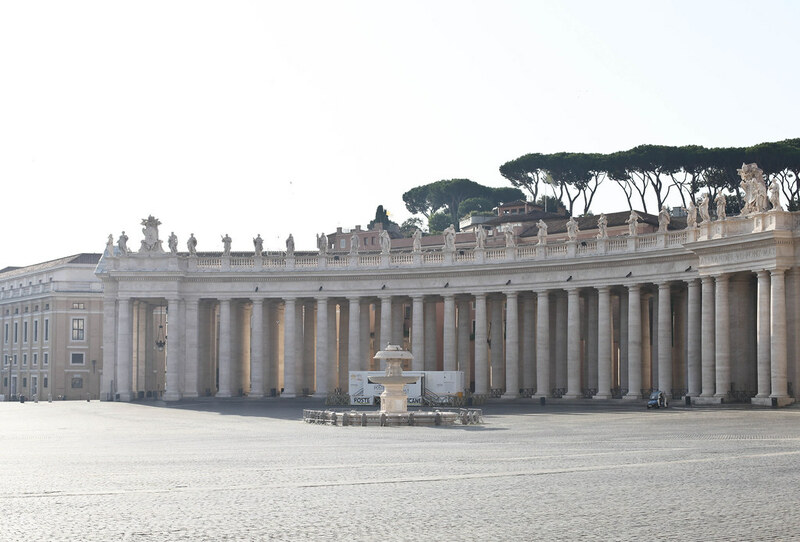 Of course there are the obligatory stops such as the Spanish steps, the Pantheon and the Colosseum but try waking up before sunrise and venturing out onto the empty backstreets to make your way up to the Vatican City when its eerily quiet without another soul in sight. 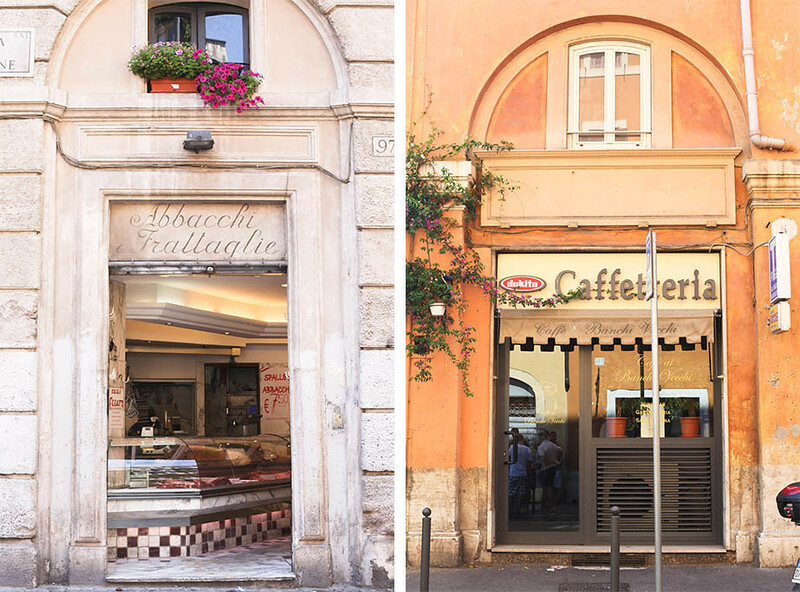 The oldest gelateria and one of the best in Rome. 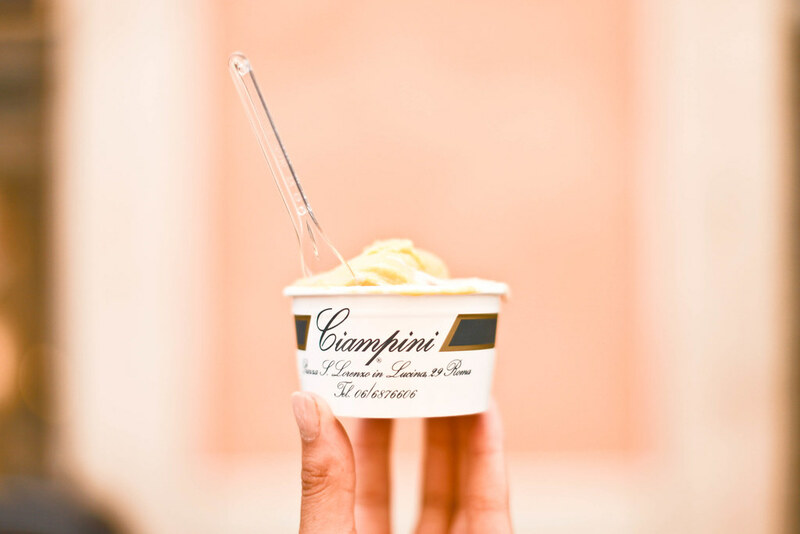 After over a century of experience you can bet that this place has perfected the most sought-after gelato recipe in Italy. Of course it’s a secret one which shan’t ever be shared, meaning you’ll have to try one for yourself. 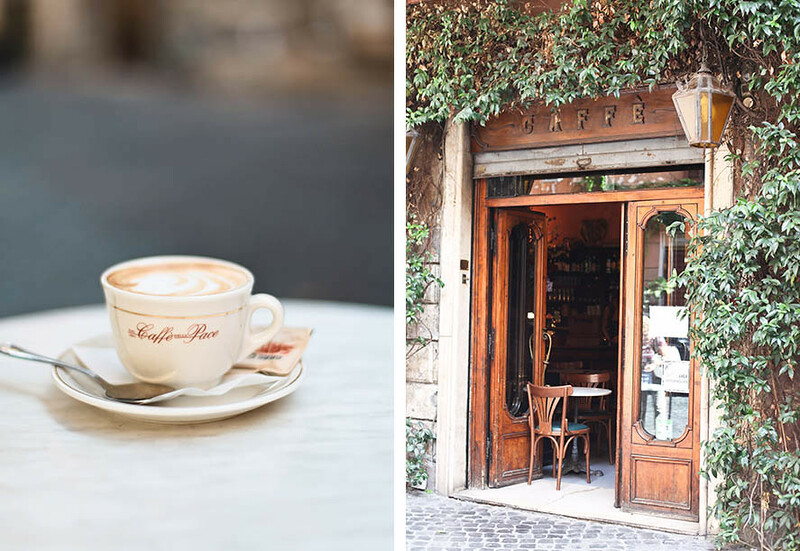 This chic cafe can be found on the corner of a very Italian square which is also the location of a select number of designer boutiques. The gelato is nothing short of exquisite, but to be truly appreciated it must be eaten on the terrace with the most picturesque of surroundings. The above gelaterias are ones which are famous and with good reason but that isn’t to say that the lesser known ones are any less good. 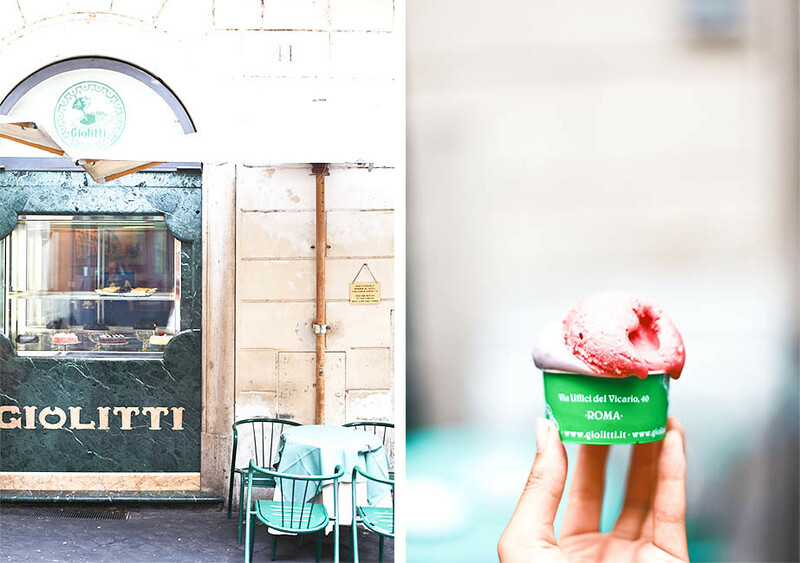 It’s safe to say that most gelato in Rome will be delicious. I passed one and ambled in by chance, only to have one of the best ice creams I’d had the whole trip. 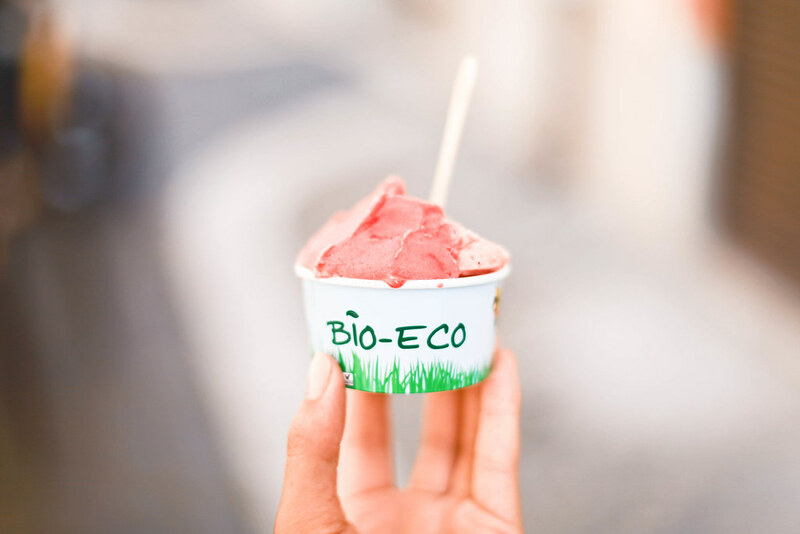 Everything was organic and natural and the watermelon gelato was incredibly fresh and authentic in taste. 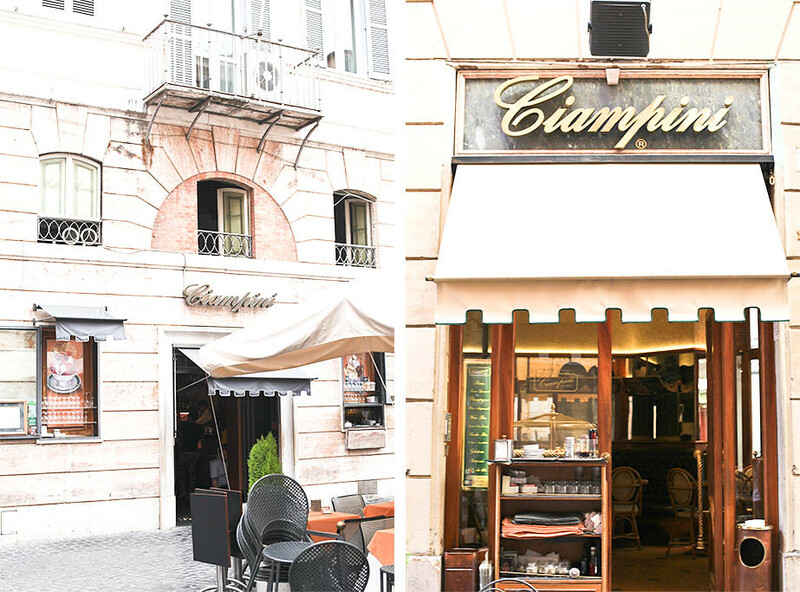 This classic Roman cafe has lots of charm. The former gathering place of great poets, writers and thinkers, the Roman equivalent to the Café de Flore in Paris. It’s dimmed lighting and mahogany interior provide a romantic spot for mid-morning brunch or an evening cocktail. I very rarely put my faith into spontaneously finding a good eatery/cafe. Falling into one too many tourist traps has taught me to always research where to eat and drink. Barnum cafe was, however, one of those finds. You know that feeling when you discover the best secret in a city, but actually discover it completely by chance. It’s a rarity, but when it happens, it has to be savoured. 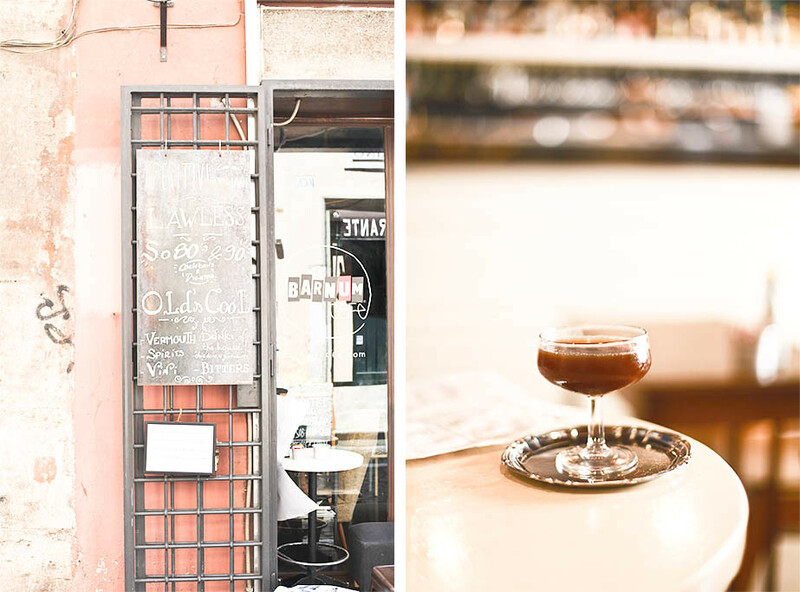 They serve the best caffè shakerato (iced espresso) which comes in a martini glass for only 1 euro. The ambiance and superb sound track make it the coolest Italian cafe I visited. 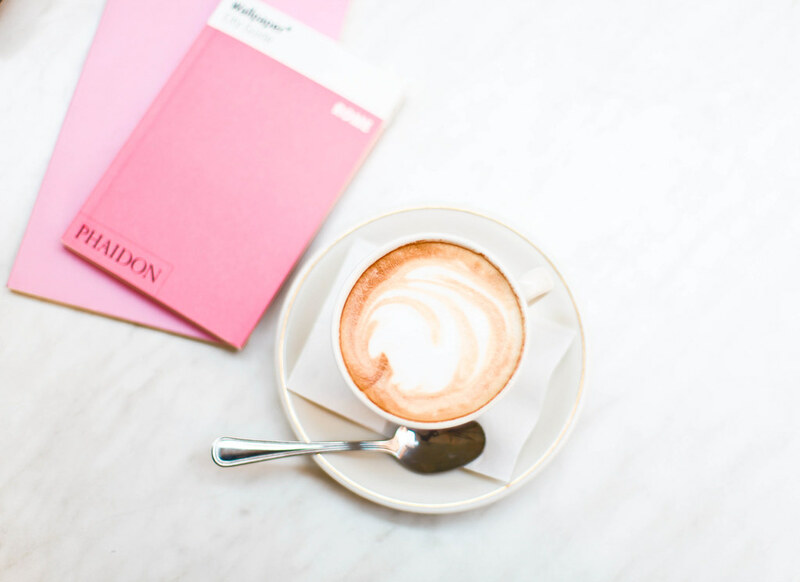 The superb coffee is just one of the reasons why the trendiest Italians flock here. It’s the stripped back interior of this modern cafe decorated with mix-matched colourful chairs and the upbeat atmosphere that make it the place to be seen. I should have know that if anyone can do a sandwich right, it would be the Italians. Homemade focaccia brushed with olive oil and baked in a wood oven then filled with mozzarella, roasted vegetables or in my case courgette flowers. 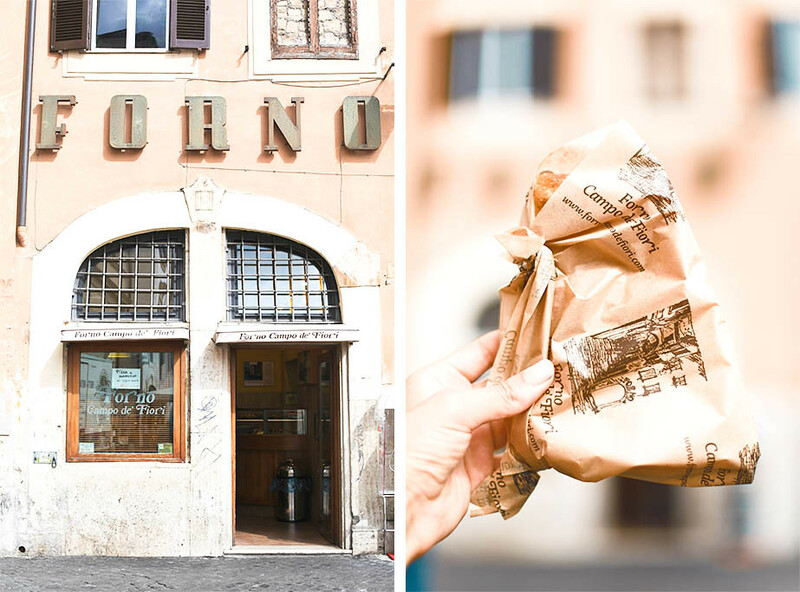 The best place in Rome is the old forno di campo de’ fiori where all of the ingredients are fresh and locally sourced. Get there early as there is always a queue. You simply cannot go to Italy and not have a tiramisu. Pompi is the place that everyone raves about but I happened to order one at the aforementioned Angelina and can vouch for it’s deliciousness. Ahhh this is making me uber excited for my trip to Europe this summer, where one of my stops is Rome. Your photos are beautiful. we have been to Italy twice this year (the first to Matera and Bari, the second to Arezzo, Pisa and Florence) but I have never visited Rome and it looks so pretty. I need to few weeks to go and explore some more of what Italy has to offer! 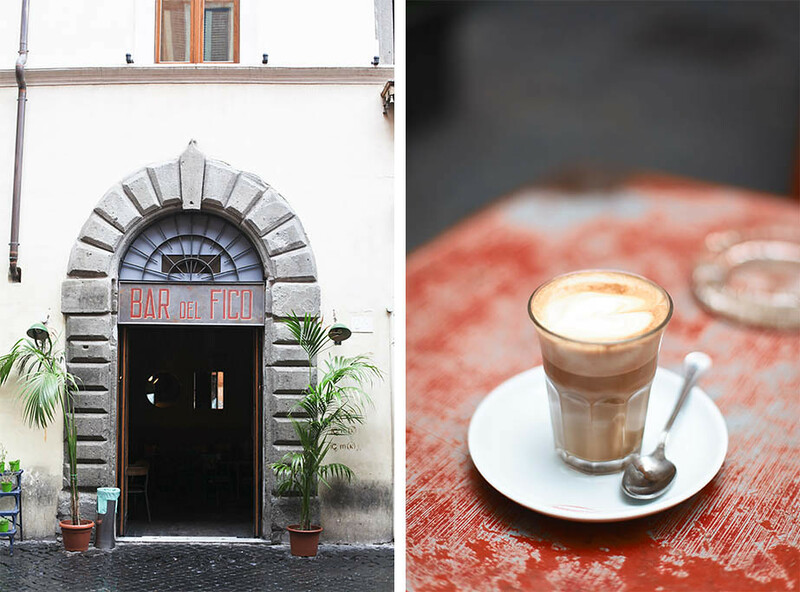 I’m absolutely in love with your photos and I’ve been dreaming of going to Rome forever – beautiful guide!